Lives in Erlangen, near Nuremberg in Germany. Works as a psychotherapist in private practice. Apart from individual clients Ingo specializes in Couples’ therapy. He facilitates men’s groups as well as groups to support parenting. Ingo offers therapy in both German and English language. He is involved in adult education covering subjects relating to family, sexuality and relationship. 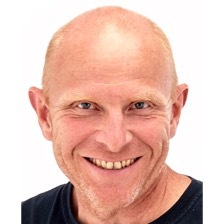 Being an experienced subgroup therapist, Ingo is currently involved in a number of SGT® projects across Europe. He is planning to bring SGT® to Germany, where he sees great potential for the method.